445th Bomb Group Memorial, All Saints Church, Tibenham. 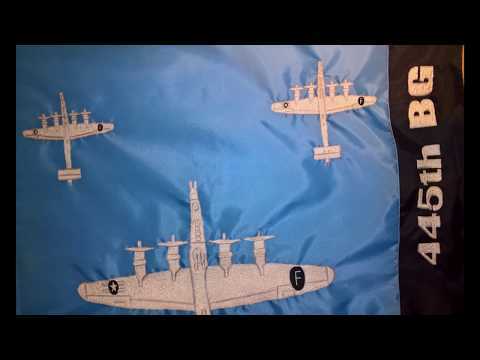 Video and photographs of the memorials to the 445th Bombardment Group (Heavy) who served at Tibenham, Station 124. The church has a small bronze plaque dedicated to the 445th Bomb Group, and some hassocks/kneelers embroidered with USAAF themes.